Coffee has become an essential part of many people’s day. 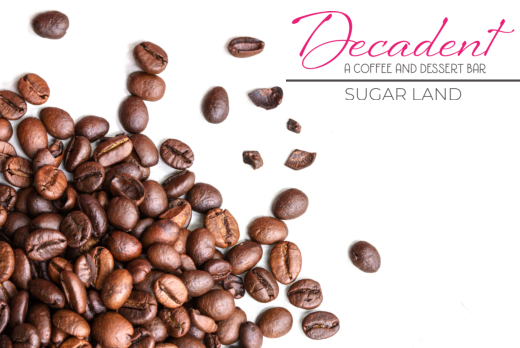 As a result, it would be no exaggeration to say that the favorite cup of brew which you usually order at your local dessert bar in Sugar Land, Texas has become one of the most loved beverages around the globe. But in spite of its popularity, varying opinions still exist regarding caffeine. Hence, we are sharing a few facts about coffee that you may want to be aware of. Just check out our previous blog article for the first part of our list. Coffee actually has a significant and positive impact on your health. One of the most common arguments against drinking coffee is that it has no health benefits. As your favorite coffee bar in Texas, let us tell you the truth — it actually has! Scientific evidence has already illustrated that coffee has, indeed, some wonderful health benefits. For one, it contains beneficial antioxidants which can help improve your heart health, as well as prevent and fight cancer. Scientists have also found that regular coffee consumption improves your ability to concentrate, which, in turn, increases your efficiency at work. In fact, even the Mayo Clinic has stated that coffee can help protect against type 2 diabetes, liver cancer, and Parkinson’s disease, among others. So, if you’ve been thinking of drinking that second or third cup of your favorite blend of coffee, then by all means, go ahead. Your beloved frothy mugs at Decadent Dessert Bar are good for the brain. That cup of coffee that you usually order at your favorite coffee and dessert bar in Texas causes the release of the brain chemical that is responsible for pressure, problem-solving, and alertness. As a matter of fact, researchers at Harvard have discovered that individuals who make it a habit to drink four mugs of caffeinated drink are less likely to suffer from dementia, as it blocks adenosine and keeps your dopamine levels active.